In the Baylor game, he did quite well on defense, and his free throws were important, too. He may not have his a single shot from the court, but his play was vital. You made the right decision. Your senior season will unbelievable. Thank you for an outstanding season and past 3 years. absolutely awful- he’s going to embarrass himself in the association.. 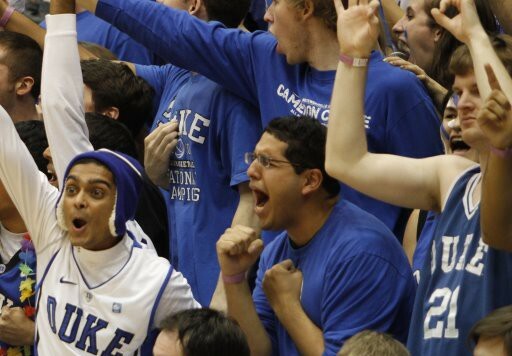 Yet another envying duke hater. Get a life, will. Also duke has the highest combined salary in the NBA. And singler is not done with his college career, so his stock will only rise. And jj is a solid NBA player. Will, I won’t always be around to defend you haha. Redick is averaging 10 ppg this season playing on a title contender behind Vince Carter. Pretty solid jump this season, and if he gets traded to another team his minutes and production will likely go up. In other news, UVA’s whole team is leaving! Great first season, Tony. Let’s not neglect to mention the bang up job Shaka smart did for vcu this season.